House Florian in Imst - Gurgltal on sunny vineyard - Sonnberg directly on the edge of the forest in a quiet location offers recreation for the whole family. **** Balcony Apartment 75m² can accommodate up to 6 people and from the large balcony you can enjoy the wonderful panoramic view of the Lechtaler-Ötztal and Pitztal Alps. **** Terrace apartment 55m² with sun terrace and cozy vine arbor can accommodate up to 4 people. Direct access to the garden with lawn. The apartments are fully equipped! Holidays with friends: The quiet and sunny forest edge location guarantees you rest and the prices are family friendly, of course, children are welcome guests and pets are welcome. Seniors also like to find accommodation and suitable activities with us. Prices are seasonal for 2 - 10 people according to season and occupancy! Ask for our package deals! Welcome schnapps and Tyrolean apple strudel obligatory !! warm, cold water. Children's stool. Towels, bath towels included! We plan a memorable vacation according to your wishes and ideas with you. "The apartment was spacious and comfortable. Host family was very accommodating. Distance to town, ski slopes and restaurants was very reasonable." "A very nice family. They speak English very well and can give good advice about restaurants. Imst is very convenient for visiting Tirol." The apartment was very clean and comfortable. The owners were very friendly and hospitable. There was a bottle of wine and fresh flowers and fruit in the apartment upon our arrival and Stephanie shared her delicious homemade pastries with us. The scenery was beautiful. A perfect stay! Sehr schönes Haus mit tollen Gastgebern! Alles wie erwartet! Komme sicher wieder!! Schöner Start in den Sommer, bestens untergebracht!! Ideal starting point for trips to Lake Constance, Black Forest, Munich, Salzburg and day trips to the Olympic city of Innsbruck, the Bavarian Royal Castles of Neuschwanstein and Hohenschwangau as well as a tour of the South's most beautiful Alpine passes and the Dolomites. 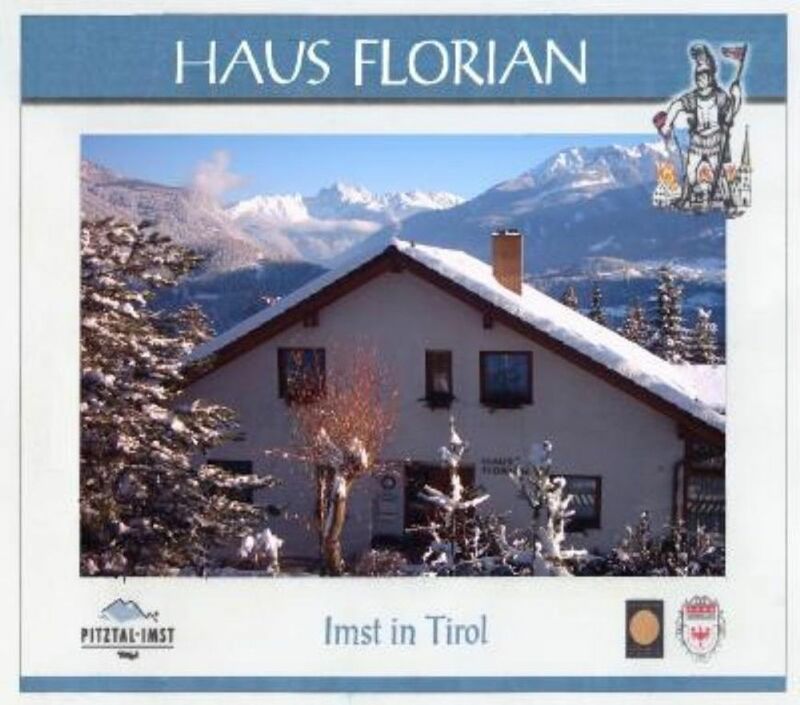 Florian is the starting point for many wonderful walks through flowery meadows to mountain huts and cabins. The mountain scenery of the Ötztal Pitztal and Lech Valley Alps surround the sunny, wide Upper Inn Valley and Gurgltal. Recreational activities in a wide range, there's something for everyone! We plan to desire to share with you an unforgettable vacation and show you the most beautiful corners of our home. The house is ideal for small groups and families. Ask for a quote outside the high season! To ensure that your holiday is what you deserve! Experiences and relaxation are guaranteed! Glacier Park Card for unlimited mountain experience at the Pitztal and Kaunertal Glacier and free use of mountain railways around !! Pitzregio 111km ski skiing in Imst and Pitztal glacier web! Beer Myth - Starkenberger Beer World Beer Spa in! Alpine Club - guided individual and group tours for our fitness adventure and nature lovers!